More often, you'll be asked to generate a line plot to show a trend over time. 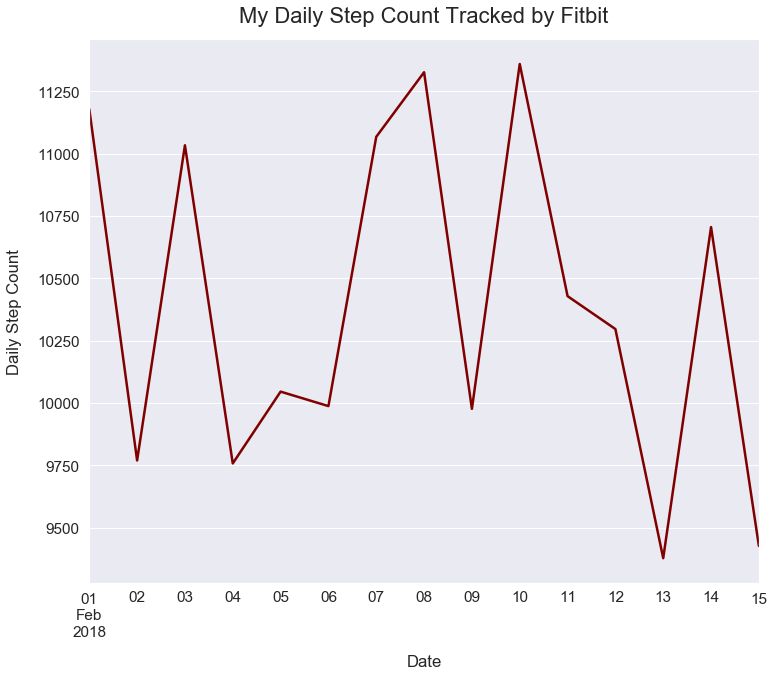 Below is my Fitbit activity of steps for each day over a 15 day time period. We create a Pandas DataFrame from our lists, naming the columns date and steps. In our plot, we want dates on the x-axis and steps on the y-axis. 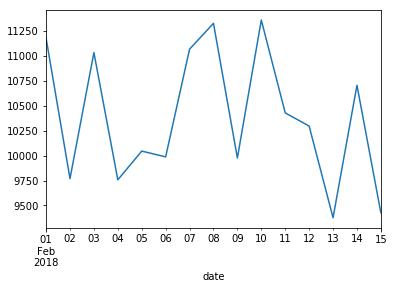 However, Pandas plotting does not allow for strings - the data type in our dates list - to appear on the x-axis. We must convert the dates as strings into datetime objects. The date field changed to have all values contain the datetime type. In a Pandas line plot, the index of the dataframe is plotted on the x-axis. Currently, we have an index of values from 0 to 15 on each integer increment. We need to set our date field to be the index of our dataframe so it's plotted accordingly on the x-axis. Below, I utilize the Pandas Series plot method. Here is the official documentation page. Below, I'll make lots of changes to our simple plot so it is easier to interpret. Many of these steps are explained in more detail in my tutorial called Line Plots using Matplotlib.